Pop. 1,015. Part ofthe Town of Haldimand, Reg. Mun. of Haldimand¬Norfolk, on the Grand R. and Hwy 3 and C. Rds. 17 & 54,40 km S of Hamilton. Pop. 120. In North Cayuga T., Haldimand C. on Hwy 3, 4km Wof Cayuga. Part of the Town of Haldimand in the Reg. Mun. of Haldimand-Norfolk on Hwy. 3 and C. Rd. 20, 10 km SW of Cayuga. Pop. 4,237. Part of the Town of Haldimand, Reg. Mun. of Haldimand-Norfolk, on the Grand R. and Hwy 6 and C. Rd. 54, 22 km SW of Hamilton. Pop. 65. In Onondaga T., Brant C. on the Grand R. and C. Rd. 54,14 km SE of Brantford. In 1851 the community was called Tuscarora, after the T. across the Grand R.
Pop. 241. In the Town of Haldimand, Reg. Mun. 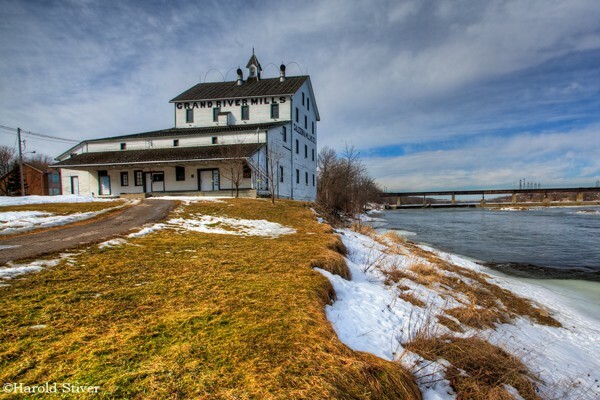 of Haldimand Norfolk at the confluence of Oswego Cr. and the Grand R. and C. Rds. 9 & 54, 2 km. SW of Hamilton. Coin and Jewellery appaiser and dealer. Coin and Currency exchange. Custom jewellery design. Pop. 159. Part of the town of Dunnville in the Reg. Mun. of Haldimand-Norfolk on the Grand R. and C. Rds. 3 & 20, 2 km S of Dunnville and 6 km N of Lake Erie. Pop. 53. In Canborough T., Reg. Mun. of Haldimand-Norfolk on Oswego Cr. and Hwy. 3 and C. Rds. 2, 14 & 63,18 km. NE of Cayuga. Pop. 11,781. In the Reg. Mun. of Hal dim and-Norfolk, on the Grand R. 6 km. from its mouth at L. Erie and Hwy 3 and C. Rd. 3 & II, 31 kIn W of WeIland. Pop. 89. In the town of Dunnville, Reg. Mun. of Haldimand-Norfolk at the mouth of the Grand R. 11 km. SE of Dunnville. Pop. 1,015. 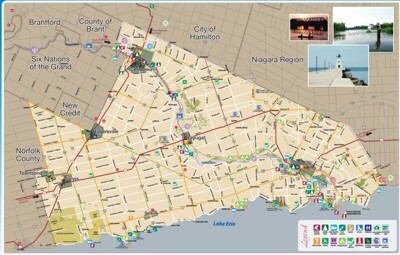 Since 1974 the T. of South Ca has been part ofthe town of Haldimand in Haldimand-Norfolk Region.